We want everyone to have the chance for fresh baked cookies! Quick and Easy! GENERAL DIRECTIONS: PREHEAT OVEN TO 350 DEGREES. IN A LARGE BOWL CREAM TOGETHER 1/2 CUP SOFTENED BUTTER OR MARGARINE, 1 EGG AND 1 TEASPOON VANILLA. ADD ALL THE PACKAGES INTO THE CREAMED MIXTURE AND MIX THOROUGHLY WITH YOUR HANDS UNTIL A DOUGH IS FORMED. ROLL INTO 1 INCH BALLS-YOU MAY HAVE TO FLOUR YOUR HANDS IF DOUGH IS STICKY. PLACE ON UNGREASED COOKIE SHEET. BAKE FOR 8-10 MINUTES. YIELD: APPROXIMATELY 36 COOKIES. MANUFACTURED IN A FACILITY THAT PROCESSES PECANS, ALMONDS, BLACK WALNUTS , PEANUTS AND DAIRY PRODUCTS. 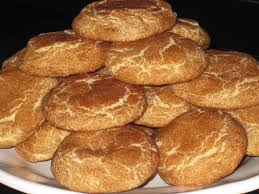 Snickerdoodle are the best! Even better now with caramel added! Tasy treat straight from the oven. INGREDIENTS: SELF-RISING ENRICHED FLOUR BLEACHED ((WHEAT FLOUR, LEAVENING (SODIUM ALUMINUM PHOSPHATE, BAKING SODA, CALCIUM SULFATE, MONOCALCIUM PHOSPHATE), SALT, MALTED BARLEY FLOUR, NIACIN, IRON, THIAMIN MONONITRATE, RIBOFLAVIN, FOLIC ACID)), BROWN SUGAR, SUGAR, NATURAL FLAVORING AND CINNAMON. Not a significant source of calories from fat. 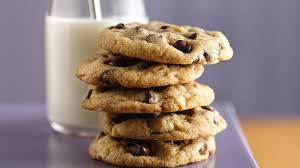 What a better way to please family and friends with our delicious chocolate chip cookies! They taste just like homemade. INGREDIENTS: SELF-RISING ENRICHED FLOUR BLEACHED ((WHEAT FLOUR, LEAVENING (SODIUM ALUMINUM PHOSPHATE, BAKING SODA, CALCIUM SULFATE, MONOCALCIUM PHOSPHATE), SALT, MALTED BARLEY FLOUR, NIACIN, IRON, THIAMIN MONONITRATE, RIBOFLAVIN, FOLIC ACID)), BROWN SUGAR, SUGAR AND CHOCOLATE CHIPS (CHOCOLATE LIQUOR, SUGAR, SOYA LECITHIN (ADDED AS AN EMULSIFIER), VANILLIN (ARTIFICIAL FLAVORING)). CONTAINS WHEAT AND SOY INGREDIENTS. 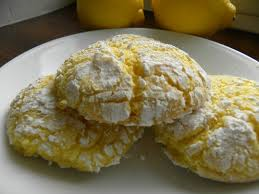 Fill your kitchen with the fresh smell of our Limoncello Cookies. They're easy to make and have an amazing taste, they're so good you won't want to share. INGREDIENTS: SELF-RISING ENRICHED FLOUR BLEACHED ((WHEAT FLOUR, LEAVENING (SODIUM ALUMINUM PHOSPHATE, BAKING SODA, CALCIUM SULFATE, MONOCALCIUM PHOSPHATE), SALT, MALTED BARLEY FLOUR, NIACIN, IRON, THIAMIN MONONITRATE, RIBOFLAVIN, FOLIC ACID)), BROWN SUGAR, SUGAR AND NATURAL FLAVORING. 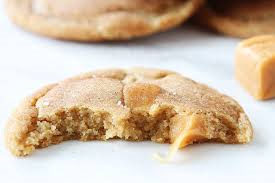 Our peanut butter cookies are loaded with our yummy peanut butter chips making them even better than homemade. Easy to make no one will ever know you bought the mix. INGREDIENTS: SELF-RISING ENRICHED FLOUR BLEACHED ((WHEAT FLOUR, LEAVENING (SODIUM ALUMINUM PHOSPHATE, BAKING SODA, CALCIUM SULFATE, MONOCALCIUM PHOSPHATE), SALT, MALTED BARLEY FLOUR, NIACIN, IRON, THIAMIN MONONITRATE, RIBOFLAVIN, FOLIC ACID)), BROWN SUGAR, PEANUT BUTTER CHIPS ((PARTIALLY DEFATTED PEANUTS, SUGAR, PARTIALLY HYDROGENATED VEGETABLE OIL (PALM KERNEL AND SOYBEAN OIL), CORN SYRUP SOLIDS, DEXT ROSE, REDUCED MINERALS WHEY (MILK), CONTAINS 2% OR LESS OF: SALT, VANILLIN, ARTIFICIAL FLAVOR, SOY LECITHIN)), SUGAR AND NATURAL & ARTIFICIAL FLAVORING. CONTAINS WHEAT, SOY AND MILK INGREDIENTS. Our snickerdoodle cookies have the perfect mix of cinnamon and sugar. Quick and easy to make, everyone will enjoy these fresh baked cookies. 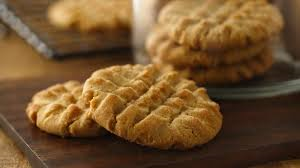 INGREDIENTS: SELF-RISING ENRICHED FLOUR BLEACHED ((WHEAT FLOUR, LEAVENING (SODIUM ALUMINUM PHOSPHATE, BAKING SODA, CALCIUM SULFATE, MONOCALCIUM PHOSPHATE), SALT, MALTED BARLEY FLOUR, NIACIN, IRON, THIAMIN MONONITRATE, RIBOFLAVIN, FOLIC ACID)), BROWN SUGAR, SUGAR AND CINNAMON. 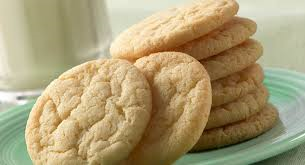 Our classic sugar cookie mix that anyone will love. Quick and easy to make, then you can enjoy some fresh baked cookies! INGREDIENTS: SELF-RISING ENRICHED FLOUR BLEACHED ((WHEAT FLOUR, LEAVENING (SODIUM ALUMINUM PHOSPHATE, BAKING SODA, CALCIUM SULFATE, MONOCALCIUM PHOSPHATE), SALT, MALTED BARLEY FLOUR, NIACIN, IRON, THIAMIN MONONITRATE, RIBOFLAVIN, FOLIC ACID)), BROWN SUGAR AND SUGAR. 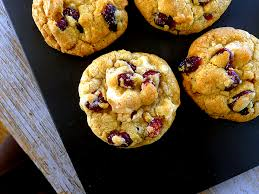 What a great mix of flavors for a cookie, tart cranberries and sweet white chocolate chips. YUMMY, you can't get much better than this! Quick and easy to make, then enjoy some fresh baked cookies! INGREDIENTS: SELF-RISING ENRICHED FLOUR BLEACHED ((WHEAT FLOUR, LEAVENING (SODIUM ALUMINUM PHOSPHATE, BAKING SODA, CALCIUM SULFATE, MONOCALCIUM PHOSPHATE), SALT, MALTED BARLEY FLOUR, NIACIN, IRON, THIAMIN MONONITRATE, RIBOFLAVIN, FOLIC ACID)), BROWN SUGAR, SUGAR, WHITE CONFECTIONERY BAKING CHIPS ((SUGAR, PALM KERNEL OIL, NONFAT MILK POWDER, WHOLE MILK POWDER, WHEY POWDER, PALM OIL, SOY LECITHIN (AN EMULSIFIER) AND VANILLA)), SUGAR, DEHYDRATED CRANBERRIES (CRANBERRIES, SUGAR AND SUNFLOWER OIL) AND NATURAL FLAVORINGS.